The 2016 SAARC (South Asian Association of Regional Cooperation) Summit was to be held in Islamabad. But after a deadly terrorist attack on an Indian Army camp in Jammu and Kashmir that year, India expressed its inability to participate in it. "There is no alternative to sitting together and mitigating differences. The problems we (the region) are facing cannot be resolved alone. We need to put collective efforts to deal with various key challenges like climate change and terrorism," Gyawali said. "I am hopeful the summit will be held soon," Gyawali said. SAARC summits are usually held biennially, hosted by a member state in alphabetical order. The member state hosting the summit assumes the chair of the Association. The last SAARC Summit in 2014 was held in Kathmandu, which was attended by Prime Minister Narendra Modi. The Nepalese foreign minister also said he has requested the Indian government to replace Rs 7 crore worth of old Indian currency notes with new ones. Following the demonetisation exercise in India, people in Nepal deposited the old notes in banks in Nepal. Indian currency is extensively used by Nepalese people and businesses. The Nepalese government last month asked its citizens to refrain from keeping or carrying Indian bank notes higher than Rs 100 denomination. On Nepal's ties with China, Gyawali said Nepal has very close ties with India and it will be unfair to compare his country's relationship with India to that of China. "We have a wonderful relationship with India. I do not want to compare it with our ties with China. 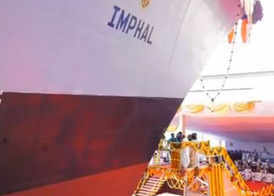 We have a good relationship with China and I do not want to compare it with India," he said. 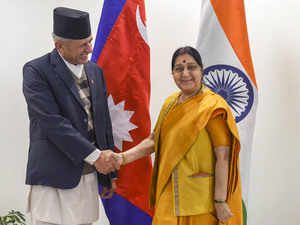 The minister also said the Eminent Persons' Group (EPG) on Nepal-India relations was finalising its report covering all aspects of the bilateral ties and asserted that there was no difference of opinion between the two sides on the issue.